Space, the final frontier... of interior design. To boldly create a sense of roominess where no space existed before. That is what can be achieved with the clever use of mirrors and it is a trick that has been employed by interior designers for many years. In this short piece you’ll find some great tips on how to make the most of your mirrors and use them to expand and invigorate your living spaces while avoiding the need to break through walls and add extensions. Now let’s start with a caveat. While this trick is a great way to add the appearance of space to any room it is a good idea to tread carefully in how you implement it. You’ll want to avoid the full on, full length mirror wall for a number of reasons. One reason is that you really don’t way your houses guests to be truly confused as to whether or not that is actually a mirror or another room (think Bruce Lee in ‘Enter the Dragon’ and you’ll start to see why this could be problematic and result in some smashed mirrors!) We recommend a grouping of rectangular mirrors that will break up the mirrored effect while still creating an impression of additional space. This trick should mainly be restricted to rooms that contain only a single window and feel cramped and closeted as a consequence. By placing a mirror directly across from your single windows you can create the impression of a wide-open room and double the natural light at the same time. 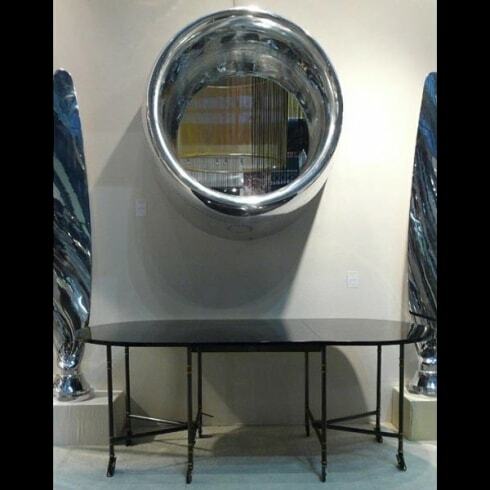 The outdoor views reflected in the mirror will also create a kind of surrealistic center piece that adds beauty and a sense of natural artistry to the room. You may feel in your heart that each of the furniture pieces you’ve placed in that small room are destined to be there, but now you’re left with something that feels a little too much like a storage closet. Placing mirrors behind a few of these items can save you the burden of having to choose which items get the cut. You should select a full-length mirror that is the same width as the item it is being placed behind and have a mirror tall enough that it peaks over the top of the furniture. Going all out on a single beautiful mirror can seem like a big choice but you will probably find a number of roles in your home suited for such a piece. If you have a fireplace in your house, a framed design mirror can add a sense of grandeur and space to that room and emphasis any decorative ornaments you may have on the mantle. A large mirror in the dining area is also a great way to add a sense of bustle and coziness to your family meals and is a trick that has been employed by restaurants for decades to make it feel like guests are dining in a busy room full of fun and activity. 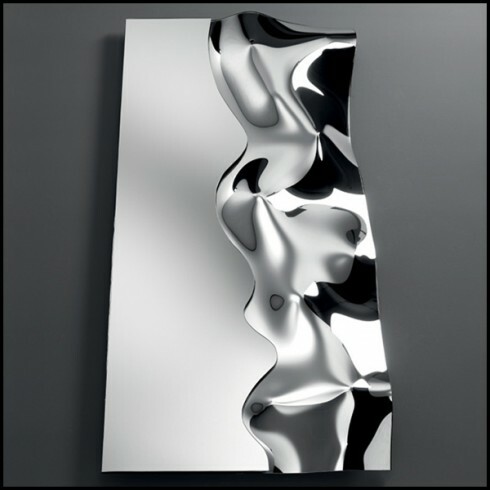 Even where standing or wall space is very limited you can still make more of it with a creative use of mirrors. Attaching mirrors to existing furniture such as closets doors and cabinets can make even very cramped spaces seem larger. This style of mirror placement also has the added benefit of being very functional for make-up touch ups and final outfit appraisals! A staple of New York interior design, the use of designer round mirrors to create impact is a tried and tested method that anyone can take advantage. The majority of decors will involve a great deal of straight lines and hard edges, and a beautifully crafted round mirror is the perfect way to create contrast and add a sense of spaciousness at the same time. You’ll find a huge range of designer mirrors including round and rectangular mirrors when you browse the Pacific Compagnie range.